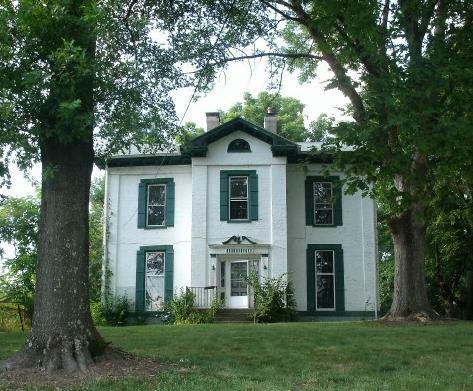 The Cincinnati Preservation Association (CPA) announced that a 145-year-old home in College Hill will be sold at an online auction between August 11-17. According to CPA, the two-and-a-half story structure was completed in 1865, and boasts Greek Revival pilasters and Gothic Revival gables. The Hamilton County Auditor reports that the home has 2,800 completed square feet, and sits on nearly a half-acre of land in College Hill that is within walking distance of the neighborhood’s business district. Currently owned by the U.S. Marshals Service, 1314 Groesbeck Road will have a nominal opening bid of $1,000. The auction will be held online only, and all bids must be made by 9:10am on Tuesday, August 17. Those interested in bidding are asked to visit the auction website being hosted by Williams & Williams Auction Services.